*I’m almost certain that any DVD that had a US Tai Seng edition — Black Ransom and 72 Tenants of Prosperity for example — did not have an accompanying ultra-cheap bootleg version. Why were they the exception? This entry was posted on Saturday, July 17th, 2010 at 2:15 am	and is filed under piracy. You can follow any responses to this entry through the RSS 2.0 feed. You can leave a response, or trackback from your own site. I’m not gonna lie, I’m one of the guilty ones that buy the bootlegs in Chinatown along with my dad. We frequent the one on Grant street. I always end up importing the movies I like on Blu-ray for ridiculously high prices afterwards so I guess that takes away some of the guilt. And about Tai Seng editions - I thought I saw a Black Ransom bootleg before, but it would be easy to understand why the shops would be afraid of selling US licensed movies on bootleg. Tai Seng is located in SF afterall. God I know what you mean. I’m originally from SF and moved away about 3 years ago now. 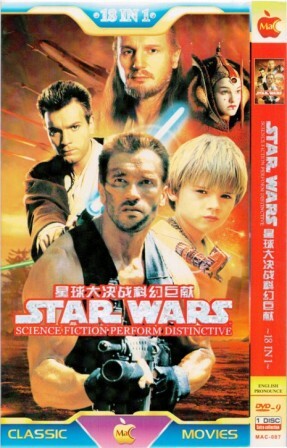 Back when I used to go to Chinatown on a regular basis it was probably 90% legitimate DVDs to 10% bootlegs. Whenever I came back in the subsequent years and months it has just gotten worse and worse. My favorite DVD shop (the only one that ONLY sold movies) closed down and how sells scarfs and hats. Every other place either completely downsized the DVD areas or replaced them entirely with bootlegs…most did both. @Garvin — Don’t worry, I’m not judging you on this matter. 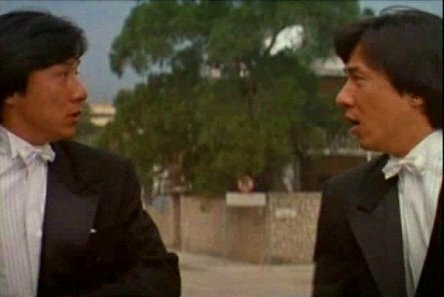 But yeah, the whole US licensing plus location of Tai Seng’s headquarters in SF would go a long way in explaining why I didn’t see any bootleg versions of their films. @dvdjamm — I haven’t seen any fake Blu-Rays that have the actual Blu-Ray case, although I do see an occasional DVD-sized case (with the cardboard slipcase over it) that say “Blu-Ray,” but those are obviously bootleg DVDs. Their Blu-Ray bootleg packaging hasn’t gotten as sophisticated…yet. @TheMcGuffin — Yeah, I think the imbalanced ratio of bootlegs to official releases was what surprised me the most. Asian bootlegging is a disgrace here in Canada. I have been only able to find ONE legitimate distributor left in Western Canada, in Richmond. When I visited Toronto last year, I found one guy in Toronto with apparently legitimate stuff and he was also selling lottery tickets to make ends meet. He said he’d be going out of business soon if he couldn’t renegotiate his lease, so he may be gone by now. Even centres with relatively smaller Chinatowns here in Alberta in Edmonton and Calgary had at least one store selling legitimate product a few years ago but they have vanished and only the bootleggers remain. I talked to the operator of one store (Hon Sing) at their closing sale, and at that time the illegal downloads of Cantopop and Mandopop CDs had put them out of business. I confess that I did pick up some illegal DVDs at first, particularly as that seemed to be the only easy source of Japanese and Korean material, until the increasing poor quality of the subtitles and my conscience turned me off. I confess to being a bit conflicted, because often the prices for legitimate DVDs from these markets can reach over 30$ (Canadian, not that the currency difference is much any more). That’s a lot to gamble if you haven’t seen the film. There are occaisional outcries in the press about bootlegging, and some coverage of police raids, but only of Hollywood product. The bootleggers appear to be able to operate openly and even rent space in pretty large malls without fear of prosecution, as long as they don’t show the Hollywood product. I sure wish there was something we could do about it. I fear that even your sponsor will be driven out of business if we don’t. It isn’t just Chinatown shops that sell bootlegs. I always have grave qualm buying HK DVDs on E-Bay. Especially if something has been out-of-print for a long time and then I magically find it on E-Bay for a reasonable price, I am suspicious. But if something is out-of-print and the only legit discs cost hundreds of dollars, what’s a HK film lover with limited means to do but buy and hope that the quality is good? So far, the quality has been almost as good as the originals (well, except for the DVD of Leslie Cheung music vids from a HK internet merchant that was selling a poor Mainland bootleg that looked like it was shot through pantyhose that had first been used to brew milk tea). I bought what I thought was a legit copy of The Mission on Amazon (from a secondary seller), and it turns out it was a copy (with “Media Asia” emblazoned prominently across each and every frame). I am sure the seller wouldn’t have knowingly sold a bootleg, or they would eventually get kicked off of Amazon. But who knows where their supplier was getting their goods from? Because the quality is better on an original release, and I also don’t really want to knowingly support organized crime, I try and buy original DVDs. Sometimes its not as easy as it seems.